I often use old exhibition cards as handy post cards for writing notes on. I had used one such card to write a thank you note to a neighbour – as you do. 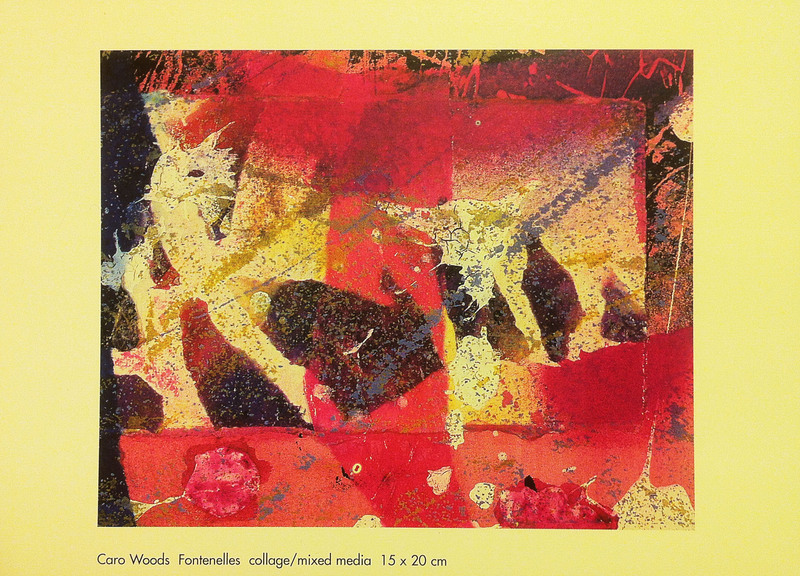 He mentioned it when we saw him a few days later as he was intrigued by the title of the painting, Fontenelle, and was curious to know its meaning. I had actually taken the title from the name of a small lane, no more than a dusty farm track called La Rue de la Fontenelle, which leads down into a small valley where there is indeed a small pond (you have probably gathered by now that everything in Jersey – where I was living at the time – is on a small scale) and which you pass by on your way to Le Couperon via the dolmen. (The very same pond where I nearly lost one of my dogs who got stuck in the weed after deciding to chase a moorhen. The moorhen got away and the dog managed to wriggle free before being drowned.) The word fontenelle comes from the diminutive version of fontanel in (Jersey) French meaning “little fountain” or the head of the water, as in a spring. Hence, ‘Fontenelle’ seemed an apt name for my painting which for me represented a ‘little fountain of knowledge’. The word, fontenelle (fontanel), is also the soft spot in the top of a baby’s head which during birth, enables the bony plates of the skull to flex, allowing the child’s head to pass through the birth canal. This gap in the top of the baby’s skull eventually closes over after about 18 months. The fontanel may pulsate echoing the heartbeat, and although the actual cause is not known it is quite normal. 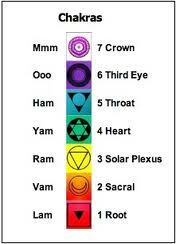 What strikes me now as interesting is that the position of the fontanel is also the position of the Crown Chakra which acts as a channel from which we connect our higher spiritual self with the wider world of the universal spirit. It is magenta in colour (which unintentionally at the time, matches the dominant tone of my painting). Post Script. Update, 10.5.2012. Georgie just sent me an amazing video of a newborn having his first bath…..and I also attach this post about how chakras behave during pregnancy which is on the same blog. Special mention: babies are usually born presenting their crown chakra to the world first, via their mother’s root……talk about coming full circle!